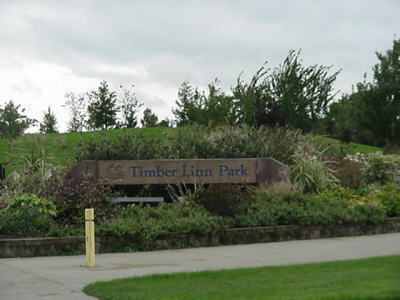 Timber Linn Park Trail is a 1.4 mile moderately trafficked out and back trail located near Albany, Oregon that features a lake and is good for all skill levels. The trail offers a number of activity options and is accessible year-round. Dogs are also able to use this trail. See the new Fair Expo center, the Albany airport & view the newly developed park From the starting location in front of the Linn County Fair/Expo center follow the sidewalk South too where it intersects with the sidewalk that borders the Timber Linn Park along Price Rd. SE. The Albany airport and I-5 will be just West of you. 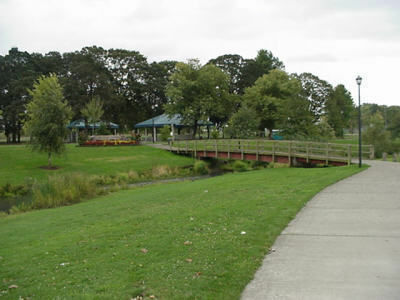 This short walk is located near four of Albanys hotels and if visiting the area is a great to get some fresh air. Exit I-5 at exit 233 onto HWY 20 / Santiam HWY head east going over the freeway overpass. Make a left hand turn heading North unto Price Rd. SE go until you come too Linn County Fair/Expo center, turn into the parking lot. the drainage in this park is horrible so be ready to get your shoes muddy. for a city park it's pretty big with nice open fields for my dog to run around in. The creek that runs through the park is full of nutria and my dog loves chasing after them. It's ok and a quiet place. The loop isn't exactly a loop. A nice walk! Nothing challenging, good for families, stroller and wheelchair accessible. Good clear path, good for a stroll in the park. It's a nice path if your looking for something close to home. Another great walking trail for everyone. We live within walking distance of this park. The trail is family friendly, ideal for young kids because it's level, paved, and tucked away from the road. There is a playground, a dog park, and a creek that you can fish in too.